What Is a Satellite Radio Antenna? Is a Satellite Radio Antenna the Same Thing as a Dish? In order to receive satellite radio, you need a special antenna. Your standard car radio antenna won’t cut it because, unlike FM radio and HD radio, satellite radio and FM radio aren't broadcast on the same frequency bands. This is why you don't need a special HD radio antenna, but you do need a special satellite radio antenna. Satellite radio, unlike satellite television, doesn’t make use of dishes. The main reason is bandwidth, but suffice it to say that satellite radio uses small, non-directional antennas (similar to many satellite phones you may have seen). Both terrestrial radio and satellite radio use omnidirectional antennas, which can be contrasted with the directional antennas used by satellite television services. However, your existing car antenna that’s designed to receive AM and FM signals isn’t capable of receiving satellite radio transmissions. The issue is that the FM broadcast band occupies part of the very high frequency (VHF) radio spectrum, the AM band utilizes part of the medium frequency (MF) band, and satellite radio occupies the ​S-band. First of all, it’s important to understand that a satellite dish is actually just a specialized type of antenna. 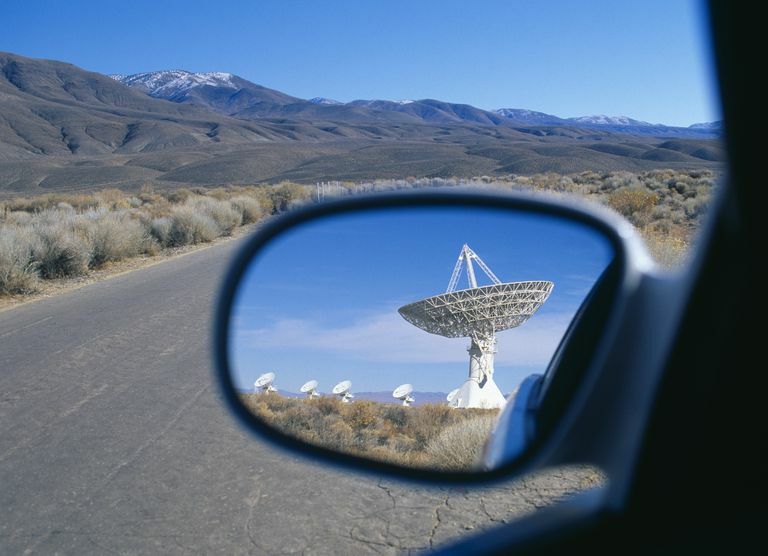 They’re referred to as directional antennas because they are designed to receive signals in a cone that projects outward from the edges of the dish, which is why you have to aim a satellite dish at a particular portion of the sky for it to work. The main benefit of this type of antenna is that it’s capable of receiving a greater amount of information from a weaker signal than an omnidirectional antenna would be able to. In that same vein, directional antennas can actually be used to receive weak television and radio signals in remote areas, distant Wi-Fi signals, and other types of weak or distant signals. As to why satellite radio uses omnidirectional antennas and satellite television uses dishes, it really comes down to the amount of information that has to be transmitted for the different services. Audio transmissions take up less bandwidth than television transmissions that include both an audio and video component. So while satellite television providers could have used omnidirectional antennas, they wouldn’t have been able to offer very many channels. Since satellite radio antennas are omnidirectional, you don’t have to worry about pointing them in any particular direction. However, it is important to position a satellite radio antenna so that it has an unimpeded view of the sky, and it just as vital to choose a location where it won’t receive any sort of interference. Near the front or rear of the roof. Three inches or more from the edge of the roof. Three inches or more away from other antennas. Somewhere that a roof rack (or another similar accessory) won’t block the sky. On the trunk near the base of the windshield. On the hood near the back edge. Three inches or more from the edge of the hood or trunk. Less than three inches from antennas, roof racks, and other accessories. On an a, b, or c pillar.